الخيار الأفضل للحصول على المتعة والاسترخاء، Island Leisure Resort يقع في منطقة رائجة من أفضل مناطق المدينة. يحظى هذا الفندق ذو 4 نجمات بمكان ممتاز يسمح بالوصول إلى المعالم السياحية الأكبر في المدينة، فهو يبعد مسافة 10 km عن صخب المدينة. كما يمكن الوصول بسهولة إلى عدة معالم سياحية قريبة. كما يقدم Island Leisure Resort الكثير من الخدمات لإغناء رحلتك في المدينة. تتضمن الميزات الرئيسية في هذا الفندق: واي فاي مجاني في جميع الغرف, أمن على مدار 24 ساعة, متجر, خدمة غسيل ذاتية, مجهز لذوي الإحتياجات الخاصة. تنعكس أجواء Island Leisure Resort في غرف الضيوف.تلفزيون بشاشة مسطحة, قهوة فورية مجانية, شاي مجاني, بياضات, مرآة هي بعض الميزات الموجود في العديد من الغرف. صممت خدمات الاستجمام في الفندق والتي تتضمن مسارات المشي, الغوص السطحي, حوض استحمام ساخن, مسار جولف - ضمن 3 كم, حمام سباحة خارجي لمساعدتك على الاسترخاء والراحة. إن Island Leisure Resort هو خيار ذكي بالنسبة للمسافرين، فهو يوفر إقامة هادئة ومناسبة للاسترخاء. مرافق العقار مخصصة للاستخدام الحصري للنزلاء فقط. 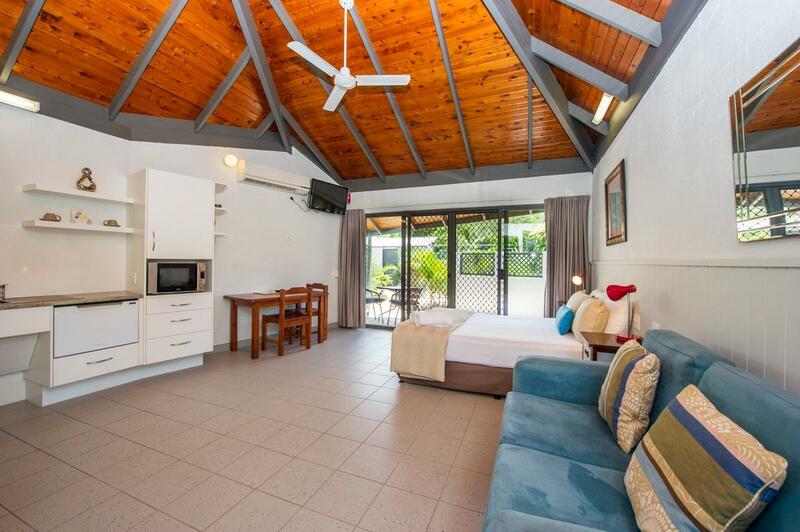 We enjoyed the quiet resort style burrets with cooling lagoon pool and handy shop onsite , Nellie beach and supermarket close by. The local bus stop at door made getting around the Island very easy. Only disappointment was rooms not serviced daily, only every 3rd day. 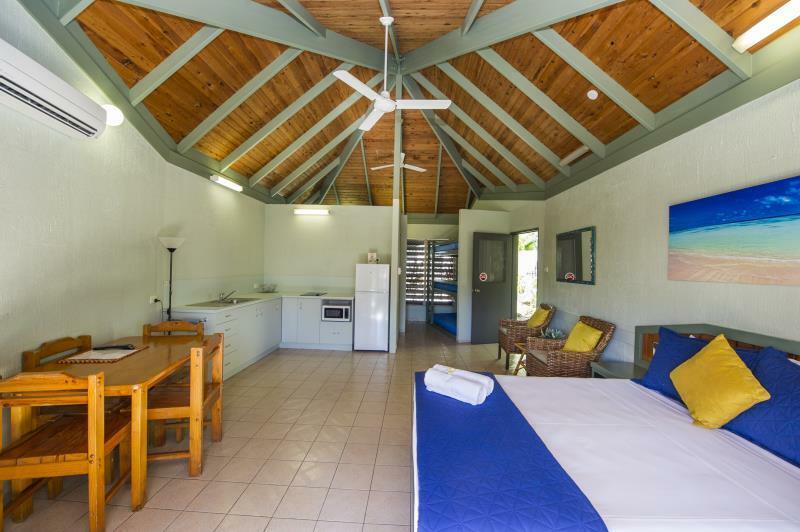 Good option for a couple of nights, room was spacious and clean and fully equipped. Resort was lovely. 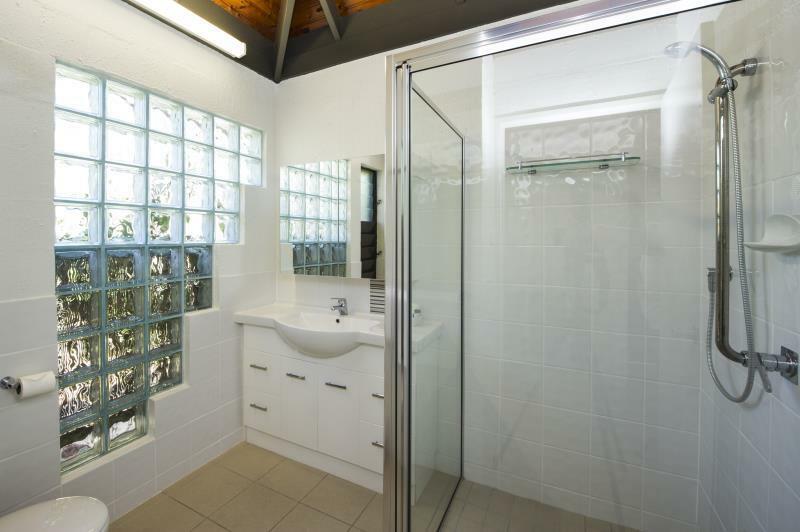 The ensuite in the bedroom does not have a roof, so it's best to know your travelling companion pretty well! The pool area looked beautiful and the bed was soo comfortable.. The bus services door to door are great on the island.. 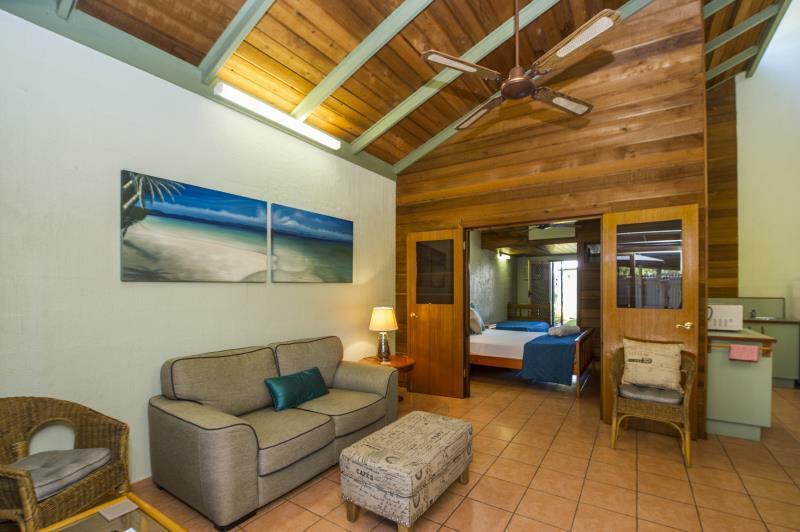 The staff were so helpful and friendly and nothing was too much.. Would definitely recommend a week here so you have time to to enjoy the resort facilities after touring the island..
love this place....relaxed, very comfortable, clean, friendly and great location for our group. Handy bus service right at the door. Excellent stay. Great facilities, lovely staff. Quiet, clean and in good location. Quiet, peaceful, clean, staff friendly and helpful. The service and friendliness of the owners was wonderful. Eileen was thoughtful and gave excellent advice about activities and local restaurants. We had a great stay on Maggie. We had so much fun zooming around on hired scooters. Relaxing in the pool was great. This is a lovely hotel with a relaxing pool area. You can walk to the Beautiful beach within seconds. The owners were really lovely and helpful for island information. They also have some resident rainbow parakeets which are amazing to see and feed! Lots of activitites for the family, clean and tidy, comfortable. We loved it so much we want to be regulars there. Hard to fault our stay. Everything was to our liking and within easy reach of shops and a bus stop as well as a short walk to the ferry terminal We would highly recommend a stay here. 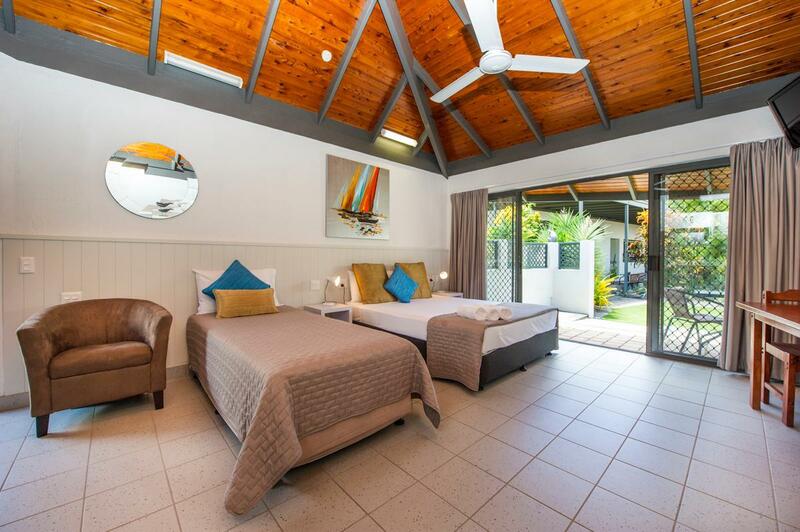 Great lagoon size pool, comfortable beds and cool space. Friendly staff. Kids 6 and 8 enjoyed the bunk beds and pool. Other great amenities. Bus and local shops nearby. 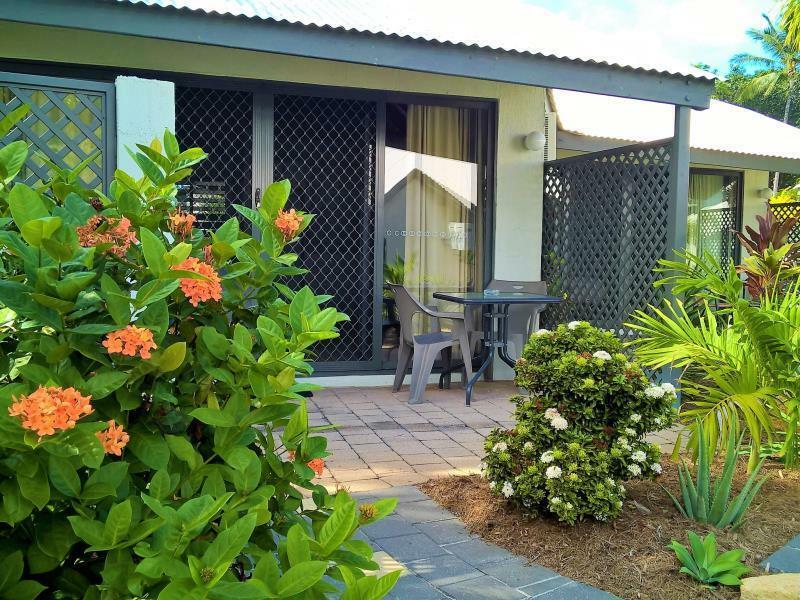 We enjoyed our stay, the staff was very friendly, the birds were very cute, swimming pool is clean and tennis court available.